Rep. Jan Schakowsky won election to Congress in 1998. Since coming to Washington, she has earned a reputation as one of Capitol Hill’s most outspoken advocates for America’s middle class and those aspiring to join it. In 2010, she played a key role in drafting and passing the Affordable Care Act and has been one of the law’s most passionate defenders since it went into effect. Her Jewish upbringing inspires her to strive tirelessly to advance the tenets of social justice that inform Bend the Arc Jewish Action’s advocacy. 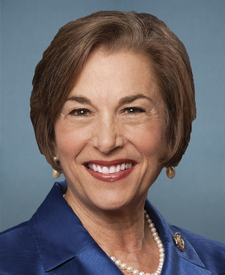 Schakowsky is a member of the House Democratic Steering and Policy Committee, House Budget Committee, and the House Energy and Commerce Committee, as well as serving as House Democratic Chief Deputy Whip.